A small, angry group outside a Cook County courthouse Friday confronted the white Chicago police officer who shot a black teenager 16 times. Several people shouted profanities and pounded on a black pickup truck before it pulled away with officer Jason Van Dyke inside. Van Dyke, charged with murder in the fatal shooting of 17-year-old Laquan McDonald, appeared in court Friday for the first time since a grand jury indicted him this week. He faces six counts of first-degree murder and one of official misconduct in the 2014 shooting. The judge scheduled his arraignment for Dec. 29. 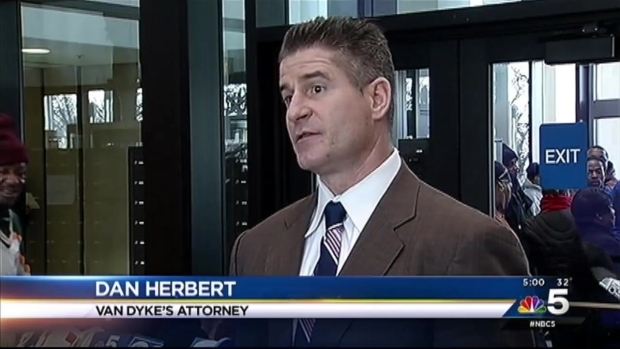 "That’s an important day because we will be assigned a judge and from there we get into trial preparation," said Van Dyke's attorney Dan Herbert. 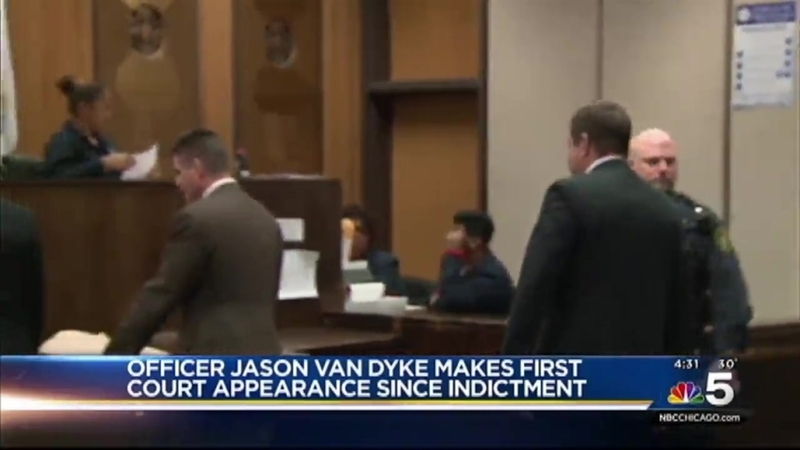 Chicago Police officer Jason Van Dyke made his first court appearance since being indicted on six counts of murder and one count of official misconduct in the death of Laquan McDonald. NBC 5's Charlie Wojciechowski reports. Herbert said after the hearing that he was considering requesting a change of venue for his client because of comments made by Mayor Rahm Emanuel. "It’s something that’s not routinely done. In Cook County it hasn’t been done in decades," Herbert said. "I think with the current events and specifically the comments by the mayor in this case, not just on a day but continuing throughout the last few weeks, we intend to seek a change of venue. And quite frankly Exhibit A is going to be the mayor and his comments and we’re going to have to find a county that is outside the reach of the mayor’s comments." Emanuel previously told reporters, "Van Dyke violated both the standards of professionalism that come with being a police officer but also basic moral standards that bind our community together." Van Dyke has been free on $1.5 million bail since Nov. 30 after spending six nights in Cook County Jail.